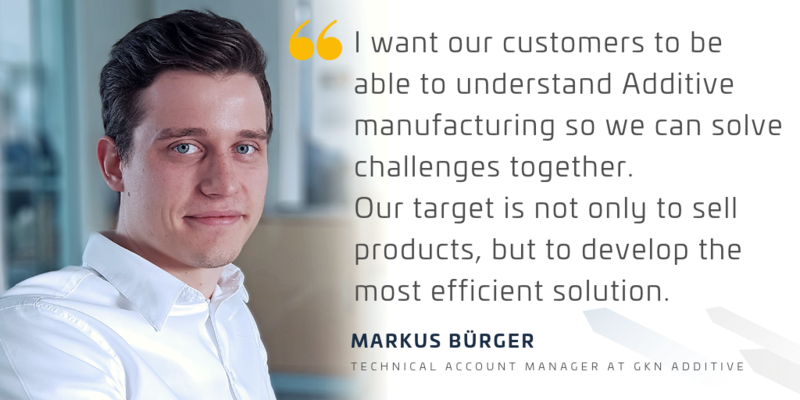 I just discussed this with my colleague Markus Bürger, a new member of GKN Additive’s global sales team and a colleague of recently-featured Kevin. While Kevin is responsible for the U.S. automotive AM market, Markus is responsible for technical sales in Europe with a special focus on the automotive industry. Markus, where does your metal AM knowledge in the automotive industry come from? I was previously a project manager of a tier one supplier. At this company, the first iterations for the prototypes were done with AM parts so I already knew some of the components, but I had not manufactured them. There I saw a lot of the challenges, mainly in time and quality. I see a trend in the automotive industry of shorter product development phases with higher quality. Typically, you would say you need time for quality or allowing multiple iterations, so your product has time to mature. If you are developing highly innovated parts, you need time. If you have easy parts, like a screw for example, it is not the biggest pain point. If you move into high-tech products you need multiple iterations and you need time. This is where I think prototyping in metal AM solves a pain point. Why are automotive parts especially suitable for metal AM printing? 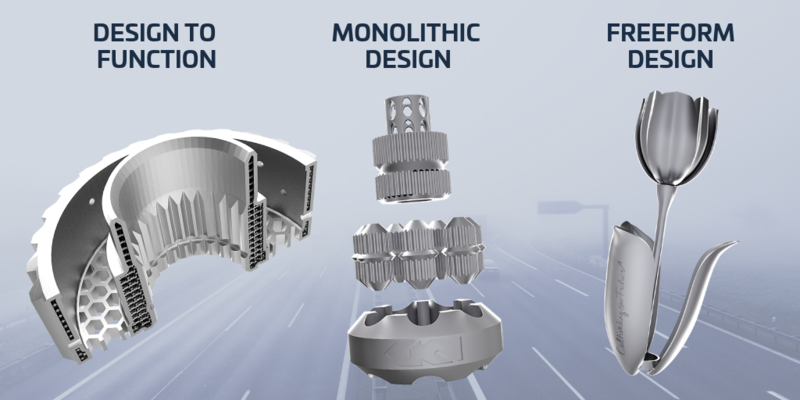 Let’s use transmissions as an example: here you have a very limited space for the application and you must find a part design that is both designable and manufacturable so that the parts can be produced realistically. With high quality needs, you need multiple iterations to create the final product. Often you can simulate some issues and you have a good idea of the final design, but the biggest challenge is fitting multiple iterations into a final design within a short period of time. Additive manufacturing really comes in handy and solves that challenge, and that is why I am fascinated by metal 3D printing. It’s quick, it’s smart and the quality is exceptional for short time frames - and this is just increasing. I am excited to see this young technology growing and creating new solutions. This technology is still quite new, and some may not know that metal AM can work for their application. How does the team at GKN Additive build understanding and trust of this technology? In our discussions with customers, we bring physical parts that people can touch so the engineers can feel the surface structure and see how fine details can be worked out. We have a large variety of examples from previous real-world case studies. This way, we can not only show CAD files, but strong and high-quality samples that are proven in applications. I want our customers to be able to understand Additive Manufacturing , so we can solve challenges together. Our target is not only to sell products, but to also develop the most efficient solution. Almost anything can be 3D printed, but what makes metal 3D printing so fascinating is how a product is printed. It's a nice feeling to make the product even smaller, lighter or aerodynamically-optimized with 3D printing. Where can we see you at exhibitions to see those product samples you talked about? 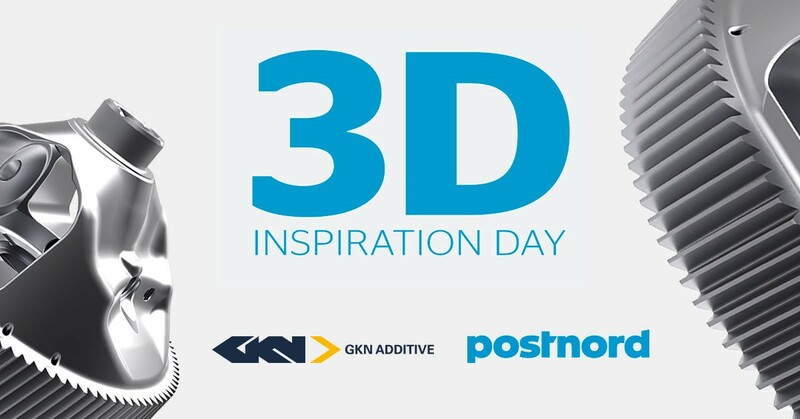 You can meet me at our join 3D Printing Inspiration day, that we host with PostNord on April 10 in Sweden. Last year, PostNord and GKN Additive entered a partnership to make metal 3D printing more accessible in the Nordic region. This is a partnership between the leading supplier of communication and logistics solutions to, from and within the Nordic region and a leading innovation development partner of the 3D manufacturing industry.